For information on becoming a sponsor or partner, please have a look at our sponsorship packet. If you have any questions, feel free to contact our Business Manager, Hiroki Gavin, at hjg2m9@mst.edu. 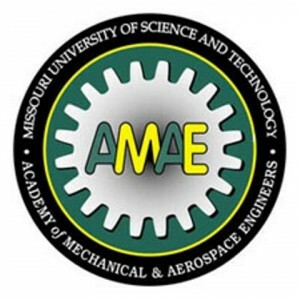 The Academy of Mechanical & Aerospace Engineers at Missouri University of Science and Technology was established in 1995 to recognize outstanding alumni for their professional achievement and success, and to create a group that would provide organized assistance to the Mechanical and Aerospace Engineering Department. Membership is by invitation extended from the current members. The organization’s ongoing activities focus on improving the educational experience of the department’s students. CD-adapco is the world's largest independent CFD-focused provider of engineering simulation software, support and services. They have over 30 years of experience in delivering industrial strength engineering simulation. The Ford Motor Company (also known as simply Ford) is an American multinational automaker headquartered in Dearborn, Michigan, a suburb of Detroit. It was founded by Henry Ford and incorporated on June 16, 1903. The company sells automobiles and commercial vehicles under the Ford brand and most luxury cars under the Lincoln brand. Haldex develops and provides reliable and innovative solutions that improve safety, vehicle dynamics and environmental sustainability in the global commercial vehicle industry. Today, after over 50 years of experience, their brake adjuster is still the global market leader with more than 75 million brake adjusters being produced. Hunter Engineering Company designs, manufactures and sells a wide range of passenger car and truck service equipment including, computer-based wheel alignment systems, suspension and brake testing systems, wheel balancers, brake lathes, tire changers, and vehicle lifts. Hunter's award-winning research and development team of mechanical, electrical and software engineers is responsible for hundreds of patented and exclusive features that make Hunter products the most productive undercar service equipment available. Jacobs Engineering Group Inc. is one of the world’s largest and most diverse providers of professional technical services. With 2013 revenues of nearly $12 billion, they offer full-spectrum support to industrial, commercial, and government clients across multiple markets. Services include scientific and specialty consulting as well as all aspects of engineering and construction, and operations and maintenance. Nucor Corporation, is the largest steel producer in the United States. They are North America's largest recycler of any material, recycling one ton of steel every two seconds. The company's total annual steel-making capacity is roughly 25 million tons. Nucor operates 23 scrap-based steel production mills. FM3 Performance Marketing is a full-service marketing firm specializing in high performance motorsports and automotive aftermarket turnkey marketing solutions. They provide solutions to a diverse group of clients throughout the automotive aftermarket, outdoor and marine industries. Whatever your gear production requirements, Gleason has the solutions you need. From start to finish, faster than before. To quality levels unimaginable just a few years ago, at lower cost. TASS International supports the transport industry to develop safer, greener and more intelligent vehicles by providing innovative software products, state-of-the-art testing facilities and cost-effective engineering solutions. By using their software and test facilities, customers can design and develop faster, easier, and cheaper thereby increasing the release time and speed to market. Steelville Manufacturing Co. was started in 1959 and is a contract machine shop specializing in milling, turning, and waterjet cutting. 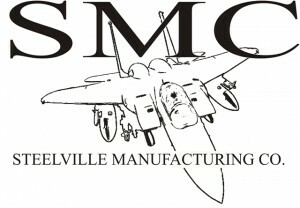 In 1966, Steelville Manufacturing was approved to work for McDonnell Aircraft Company. As of January 1993, they became a preferred supplier to McDonnell Douglas and have continued this relationship with Boeing. They have 130 employees at their facility in Steelville, MO. 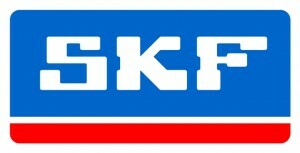 SKF has been a leading global technology provider since 1907. Their fundamental strength is the ability to continuously develop new technologies – then use them to create products that offer competitive advantages to their customers. They achieve this by combining hands-on experience in over 40 industries with their knowledge across the SKF technology platforms: bearings and units, seals, mechatronics, services and lubrication systems. Their success is based on this knowledge, their people, and their commitment to SKF Care principles. Ace Manufacturing and Parts Company is a manufacturer of heavy duty clutches and clutch components, and is known throughout the industry as an innovative leader in clutch technology. Ace has been in business for over 40 years, and during that time they have developed full design and testing capabilities. Their 118,000 square foot facility is equipped with an in-house machine shop that employs over 60 metal working professionals. Ace buys the castings, forgings and raw steel; then cuts, forms, machines, drills, and otherwise produces clutches and clutch parts to original equipment specifications. Bachman Machine Company is a single corporate entity with 3 specialized departments: production metal stamping, tool and die, and production machining. Plastics Molding Company, is a subsidiary of Bachman Machine and provides plastic injection molding. They deliver the highest quality product on time with a competitive price. 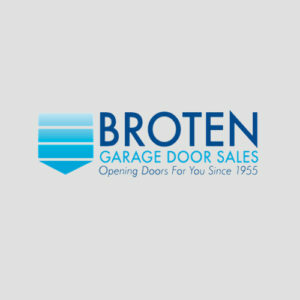 For over 60 years, Broten Garage Door Sales, a family-owned and operated business, has provided South Florida communities with high quality garage door, garage door operator, and entry door sales, in addition to quality garage door and garage door operator repair services. As a member of the International Door Association and the first garage door business in Florida to receive accreditation from the Institute of Door Dealer Education and Accreditation (IDEA), they are happy to provide you with garage and entry doors that are equal parts aesthetically pleasing and solidly built. Lincoln Electric’s commitment to providing the most innovative, cost-effective, quality welding and cutting solutions is one that has guided the company for more than 100 years. This, coupled with their technological leadership and worldwide manufacturing and distribution resources, enables them to provide competent and reliable solutions for each of their customers. WebFX is a full-service Internet marketing and SEO company offering innovative web marketing solutions to mid to large size companies across the globe. As a leader in SEO, web design, ecommerce, website conversion, and Internet marketing services, their firm prides themselves on driving traffic, converting visitors, and measuring effectiveness to ultimately deliver real results for their clients.